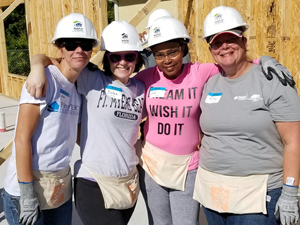 As one of the nation’s most impactful non-profit organizations, Habitat for Humanity helps families build and improve places they can call home. 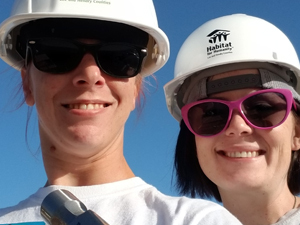 With values built on its strong commitment to building affordable housing and creating stable, self-sustaining communities, Habitat for Humanity has impacted thousands of families across the United States. But families aren’t the only ones that feel the weight of positive community impact—businesses like us do, too. 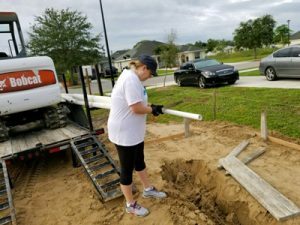 At PDR, we’re proud to partner with such a genuine organization that actively works to improve lives through housing and shelter development. 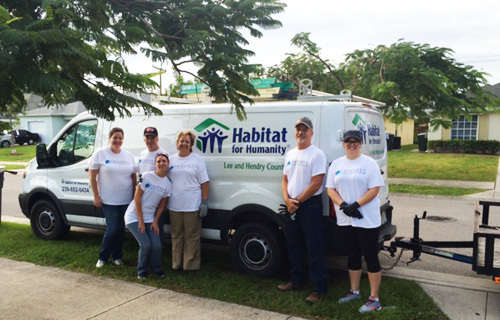 Our partnership with Habitat for Humanity runs deeper than donations. 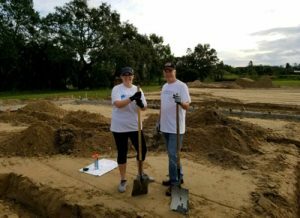 Over the past few years, we’ve had the privilege of volunteering in the field alongside those who make a living by helping others find their own. 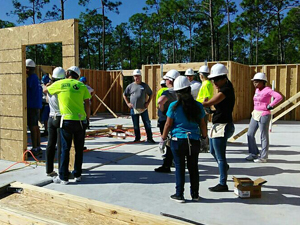 We donate a portion of every sale to Habitat for Humanity Florida. 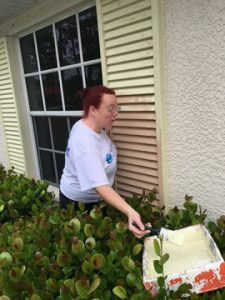 Those contributions get dispersed to all 57 locations enabling us to help families across all of Florida. Over the past two years (2018 and 2017), we’ve been honored to contribute $9,478 and $11,391, respectively. With an new event coming up on November 17th, we eagerly look forward to continuing work with an organization we’re proud to join hands with. 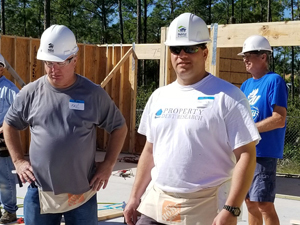 Property DebtResearch participated in a Habitat for Humanity of Florida housing project this October in Lee County Florida. 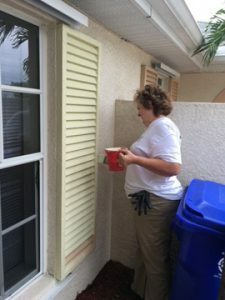 A team of PDR staff members worked on a demolition project to prepare several homes for full refurbishment inside and out. 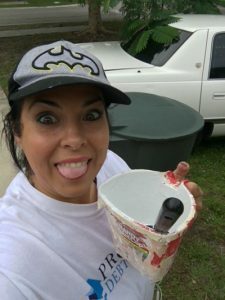 The PDR crew took out two kitchens and four bathrooms, painted all of the outside trim on two houses, laid pipe outside with the plumber for another Habitat home around the corner, took down outlets, light covers and closet doors, painted closet doors and bedroom walls and ceilings. 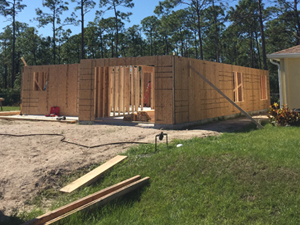 When these homes are ready, they will be offered to families that have completed the Habitat for Humanity application process. 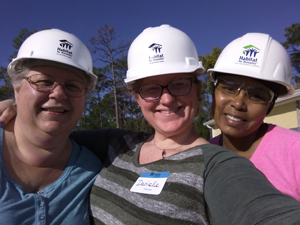 In addition to participating in Habitat volunteer projects, Property Debt Research also donates a portion of every Municipal Lien Search completed in Florida to Habitat for Humanity. Thank you to all of our PDR Volunteers for giving their valuable time on a Saturday to a truly worthy cause! 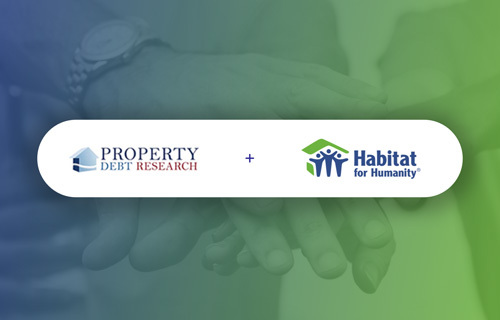 Our goal at PDR is to assist families in need by helping make the American Dream of Homeownership a reality. 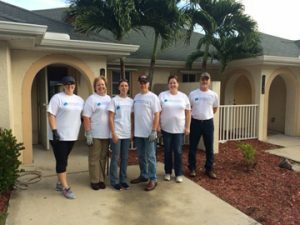 Update: The Florida Realtors-Florida Bar (FR-BAR, fka FAR-BAR) has revised their Residential Real Estate Contract Paragraph 9. 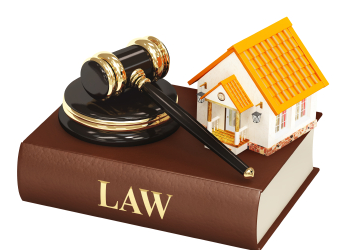 The intent is to define the party who will be responsible to pay for a municipal lien search, if a municipal lien search is performed. Tangible Taxes Florida – This tax search is applicable for every person, firm, corporation, etc. 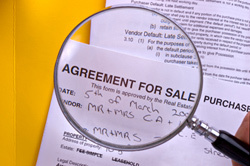 owning tangible personal property used in a business, commercial venture, or rental property. Tangible tax searches are Now Available to add to a Municipal Lien Search at an additional fee – Check our Partial Search add-on rate.